Have you found yourself telling someone – or agreeing with someone – that big money is ruining our democracy? It seems a common assertion (at least among those of us with modest pocketbooks) but our representatives have yet to change the status quo in Washington. These representatives were elected to work for the American people; and they are quite capable of writing laws that can reign in big money, that curtail lobbying, and that create transparency. Efforts to make these changes by some candidates who previously campaigned on promises to do so have tended to lose traction once those representatives were engulfed by the system where big money is in place. Those candidates need more support, and we can continue to VOTE into office people who will work together for these changes. Once again, it is election time – and an opportunity to VOTE – to use our voices to take representatives out of office who are maintaining a partisan regime that makes no effort to collaborate with others and to find workable solutions for the country as a whole, including removing big money from politics. 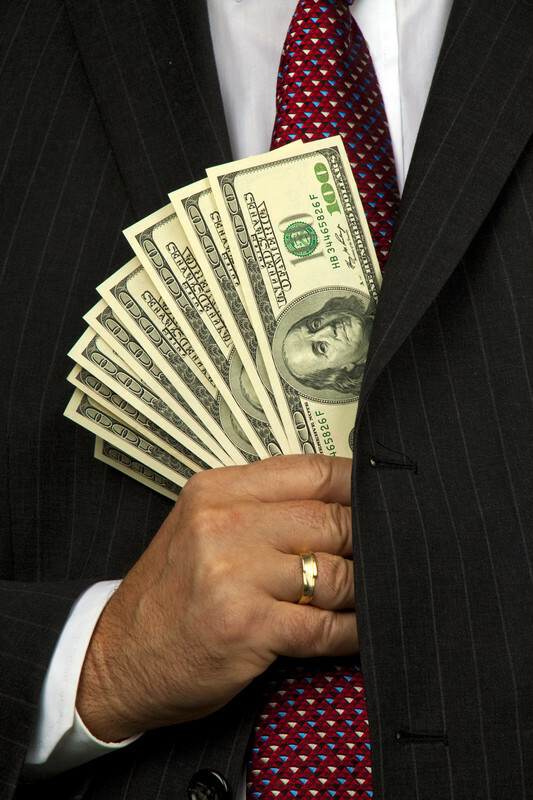 Big money has been in politics for years and becomes more entrenched as each year passes. Less than a year after the resignation of Richard Nixon, at a bill signing ceremony in 1974 which placed spending limits on election campaigns, President Gerald Ford said that “The unpleasant truth is that big money influence has come to play an unseeming role in our electoral process. This bill will help to right that wrong.” It was only two years after that bill was put in place that the wind was taken out of it when the Supreme Court ruled in Buckley v. Valeo that mandating spending limits in elections represented an unconstitutional limit on free speech. Since then we have had Citizens United vs. Federal Election and McCutcheon vs. Federal Election Commission which have completely undermined attempts on campaign finance reform. Citizens United boldly held that political spending is a form of protected speech under the First Amendment, and the government may not keep corporations or unions from spending money to support or denounce individual candidates in elections. This gave big business through their corporations and unions the same First Amendment protection of an individual citizen, establishing a new precedent in finding that an entity, a structured business organization, could donate unlimited amounts to campaigns which it collected from persons whose identities could remain secret and undisclosed. We now see advertisements from all manner of organizations whose names give us no sense of alarm, and who present slanted viewpoints that may appear reasonable and legitimate. Of course, we are used to the fierce rhetoric of campaigns, the disrespect and no holds-barred approach that have become common tactics. As depressing as the campaign season can be, it is very encouraging to find that research does not support the idea that negative campaigning is effective in winning votes. In fact, research is showing that a negative ad is one of the strongest prompts to have someone change a channel. There is not even reliable evidence that negative campaigning depresses voter turnout; however, it does seem to lower feelings of political effectiveness and trust in government. If this creates indifference, it may well influence voter turnout although it is not tied yet to research statistics. Fact-checks, on the other hand, are influencing people’s assessments of the accuracy, usefulness, and tone of negative political ads. Studies are showing that fact-checks tend to sway citizens’ likelihood of accepting the claims made in the advertisements and fact-checks challenging the truthfulness of the claims of the negative commercial are more powerful than positive fact-checks. Despite research findings, the use of negative ads has continued to increase. Why those producing these campaign ads neglect to acknowledge the intelligence of the people who will be viewing the ads is a curious factor. On more than one occasion I have heard America described as a capitalistic democracy because it is money that controls the system and not the people. This does not have to be the case. 2016 demographics show that there was a 230,585,915 voter eligible population (this excludes those in prison and on parole who are not eligible to vote). Of the almost 230.6 million people who could vote, only 138.8 million people cast ballots – about 60% of voters. This does not have to be our standard. 100% of voters can make huge changes in who is put into office and who is taken out of office. If we want representatives who collaborate, who work together for the benefit of all citizens and not for big money interests, we can work together to make ourselves heard in an election. Every voice matters but it is only counted if you VOTE. Cast a ballot. 100% of voter voices would be a huge wake-up call to those in office. The more frequently representatives are taken out of office for failure to act for the benefit of all citizens, the more we will see new people step up to fill those vacancies; the kind of people that we are calling out for. Every two years the entire structure in Washington can be overturned by the people’s VOTE.